Last night the mercury dropped to 21 degrees F. We were ready. We kept warm. I still had to go out side and walk the dogs but dressing in layers and bundling up kept me safe until the guys emptied their tanks and we climbed back inside where the environment was survivable. 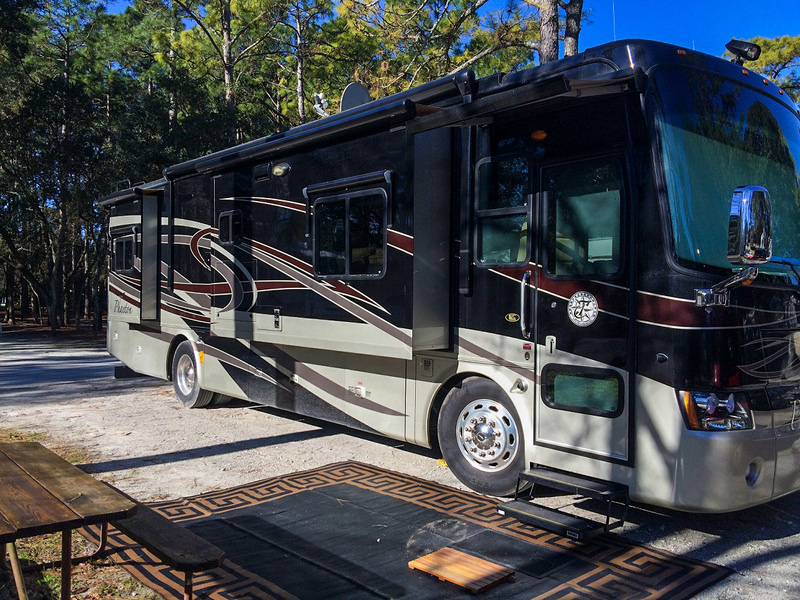 RVing in winter means taking some extra measures to keep your lifestyle uninterrupted. 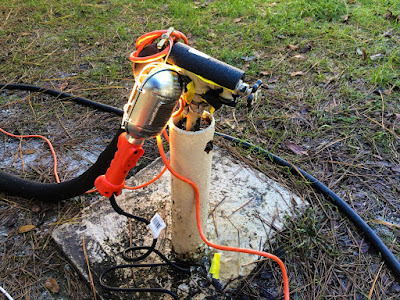 Last week the temperature dipped to 32 degrees which means that you take precautions to insure your water line doesn't freeze up for which I put a heat tape on the fresh water hose and insulated it. Last night was a hard freeze (below freezing for more than 4 hours). 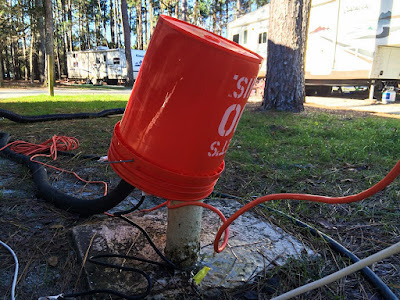 So I got out my drop light and plugged in the 100 watt light under a bucket covering the faucet. The campground also told everyone to drip one side of the faucet (moving water freezes at a lower temperature). 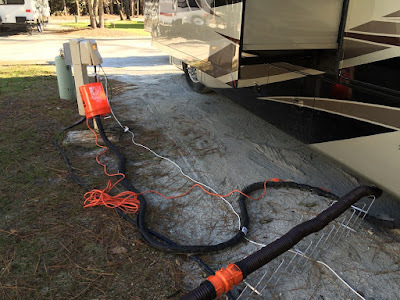 We also opened our gray water holding tank and dripped a faucet inside the coach insuring moving water through the entire length of the hose and down the sewer hose. We are so happy to see the sun this morning. It heats up Phaeth so we don't have to run the furnaces. We have two small space heaters that help us maintain comfort. Today's high is not supposed to be above 39 degrees so we will not be relying on the heat pumps when the sun goes down. It's back to LP furnace heat again tonight. The expected low is to be 23 degrees F. We hope this was the low spot of winter. The weather begins a moderation starting tomorrow. There are always measures to take to protect water lines. Some times more than one at the time. Right? We well know from experience.